Note the name Runa Kvendseth. There’s a chance you will be hearing a lot more about her in the years to come. 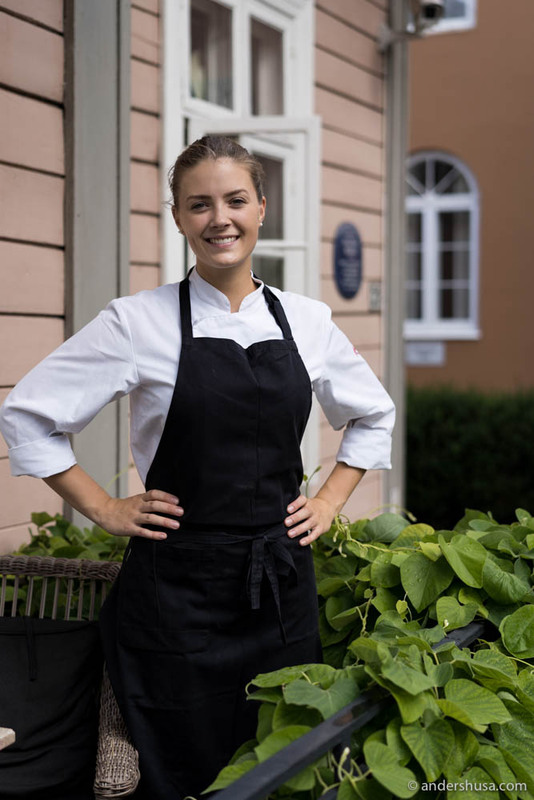 The 21-years-old chef has a background from the one-Michelin-starred Statholdergaarden and currently works at restaurant Park 29 in Oslo. Her talent has also granted her a spot on the junior national culinary team with a specialty in pastry and desserts. 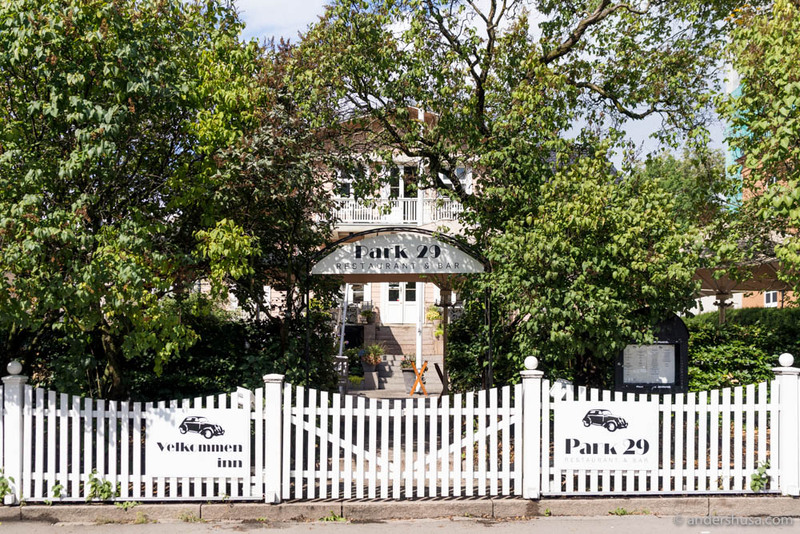 She trains every two weeks under the lead of captain Geir Magnus Svae and manager Jørn Lie, and, at the moment, the team is preparing for the world championship in November. 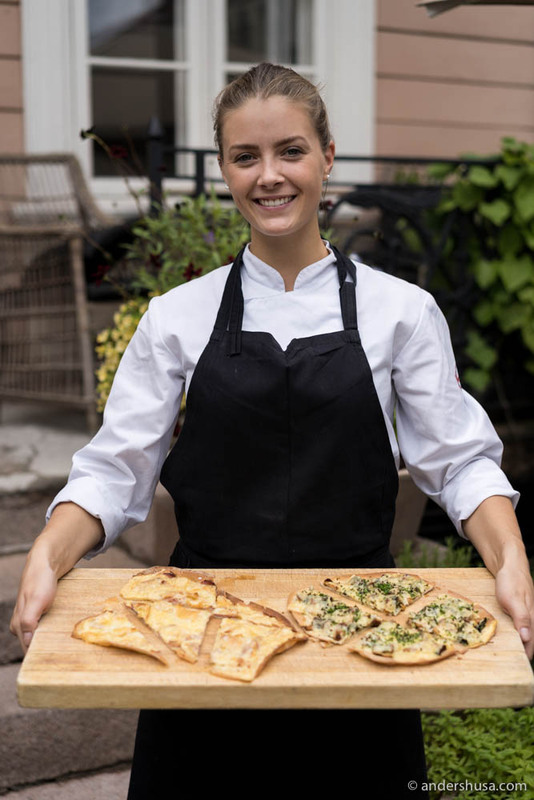 I caught up with Kvendseth at Park 29, where she taught me how to make Tarte flambée, and shared one of her favorite recipes with Jarlsberg® cheese. 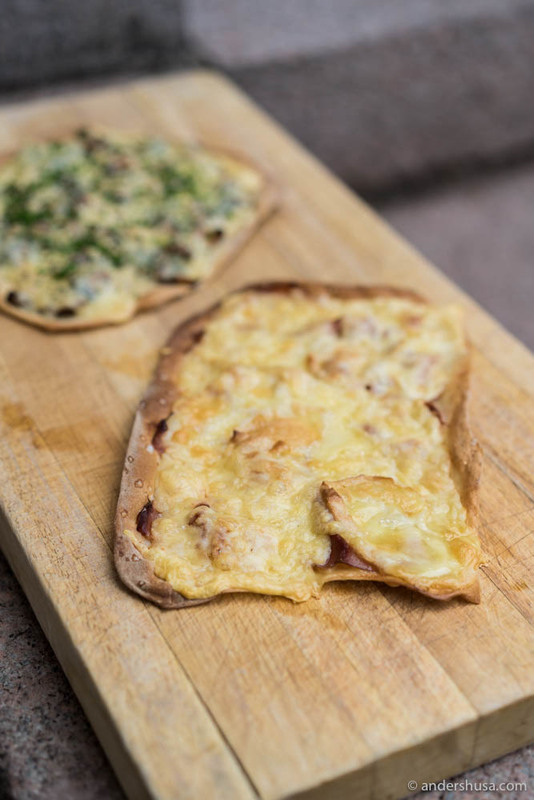 The history of the Tarte flambée is French, but shared with Germany, where it is called Flammkuchen. 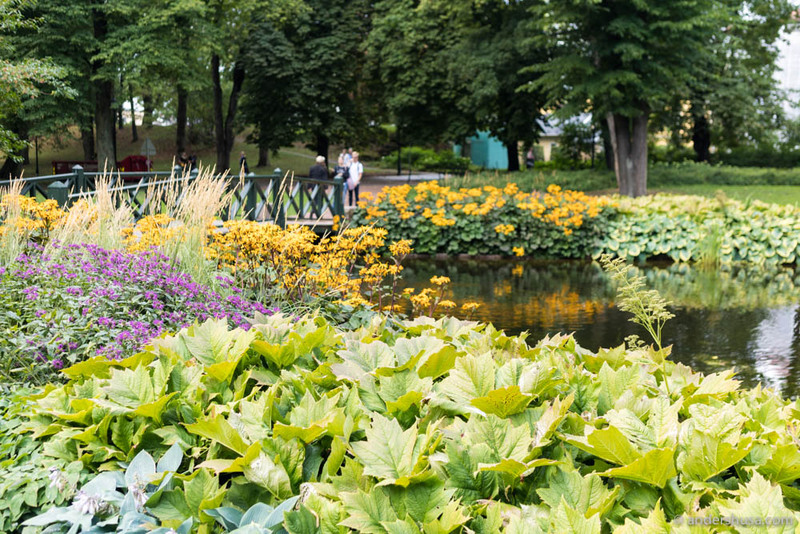 As you may have guessed, it stems from the French-German region of Alsace. The flame cake is made by rolling out a bread dough very thinly and baking at a high temperature in the oven. Almost like a pizza, except there is no yeast. Kvendseth shared her base recipe and suggestions for two toppings. A classic Gratinée with cheese, and a Forestière with mushrooms. Mix all ingredients together in a kitchen machine for 3 minutes. Split into even doughs of 110 gram. Roll each one as flat as possible into a rectangular shape. Use flour to prevent sticking. Add toppings. Cheese on the top and a sprinkle of Maldon salt. Cook in the oven at 210°C for 8-10 minutes. Serve hot and fresh from the oven. 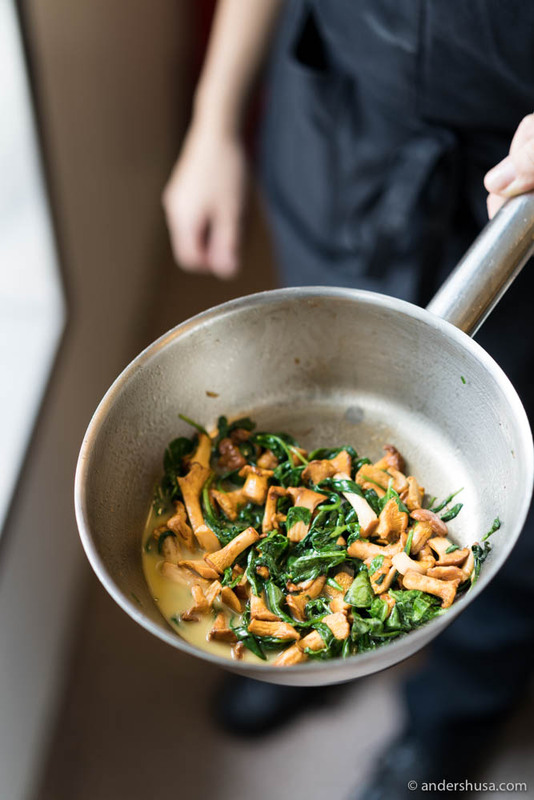 Sautée the chanterelles and spinach in butter until done. Add a pinch of salt. Pour onto a kitchen towel or paper to dry off. 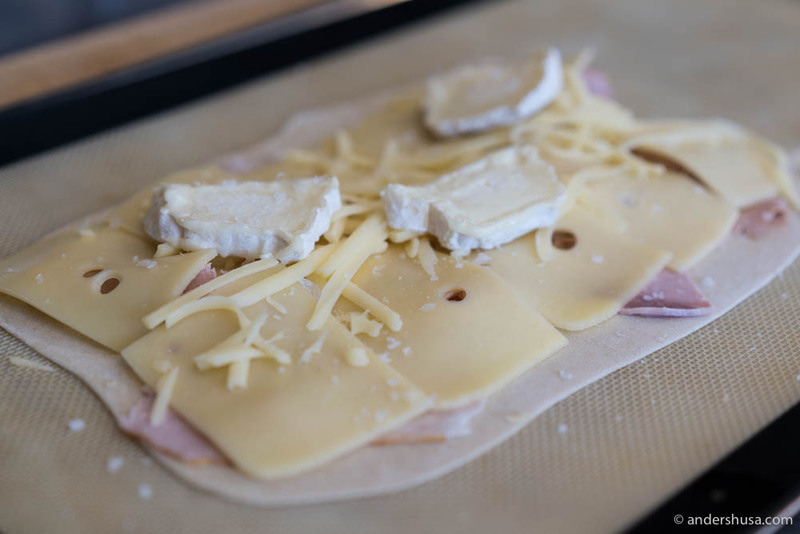 Spread on the tarte flambée base and add Jarlsberg® cheese and a sprinkle of Maldon salt. Ready to eat tarte flammbée! 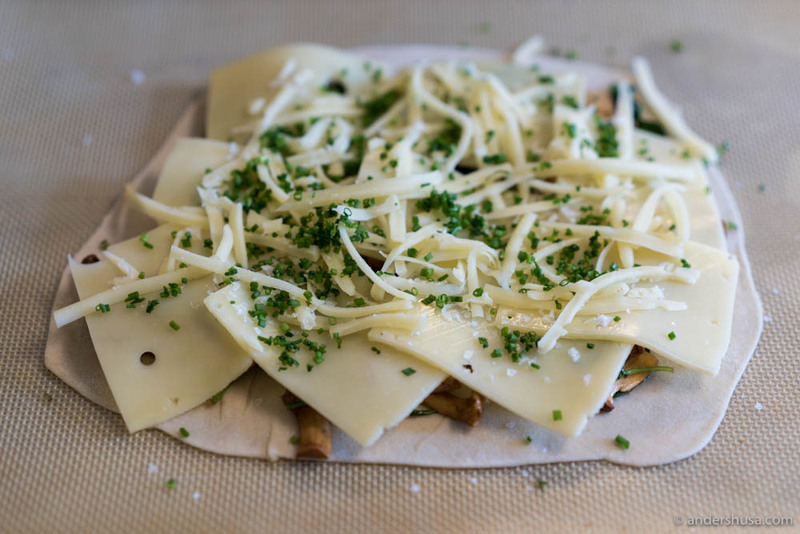 What’s your favorite toppings for a Tarte flambée? Please share in a comment.